OMRON Tool Setters D5F series and METROL Tool Setters H4A series are different products. Yet, you can order the compatible products which can be replaced. 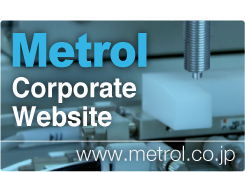 METROL supplies Tool Setters to the MAZAK Corporation in the same manner as OMRON. Pull the joint section away by slightly rotating it. Remove the four bolts and then the Tool Setter. MARPPOS Tool Setters A90 series are OEMed by METROL. You can order the same Tool Setters. 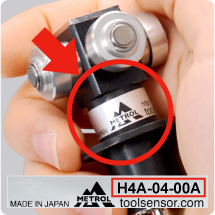 We recommend you to order the genuine METROL Tool Setters.